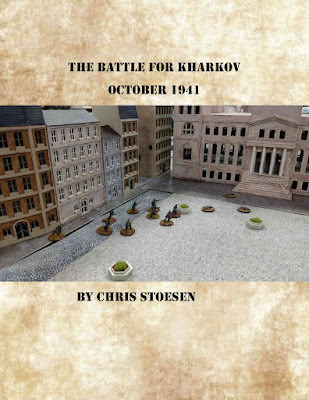 The Campaign for Kharkov contains two pint sized campaigns designed for the TooFatLardies Chain of Command rules. They are easily converted to any skirmish rule set such as Bolt Action. One covers the advance of the German 57th Infantry Division and the other the German 101st Light Division. The attack came in October of 1941. This city would be the site of three major battles for the city. The interesting aspect of the October 1941 battle is in the nature of the troops involved. The Soviets had superiority in Armour. The Germans advanced with only a single STUG battalion in support of the 57th ID. The Soviets fielded the T34 as well as several improvised armoured vehicles such as the KhTZ-16. While not a success on the battlefield, it demonstrated the Soviet inventiveness under the extreme pressure of the blitzkrieg. There are twelve total scenarios in the campaign. 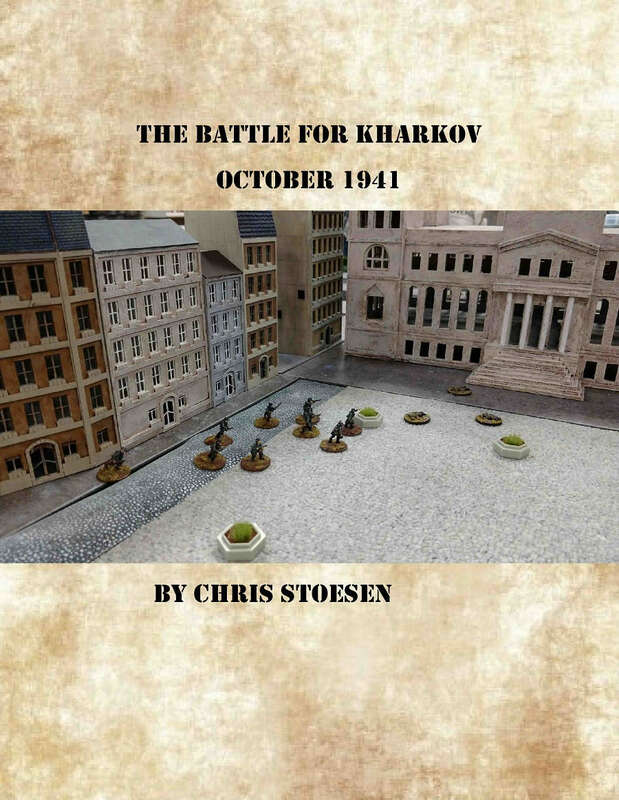 Full force lists are available for both German Divisions and the Soviet troops present. Maps are based on aerial reconnaissance photographs taken by German troops in September 1941. An errata document has been made for this and is available here.